Toyota Motor Corp. said a robot it co-developed will have the first human-robot conversation in space as part of a project to make machines that can interact with and assist people living alone. 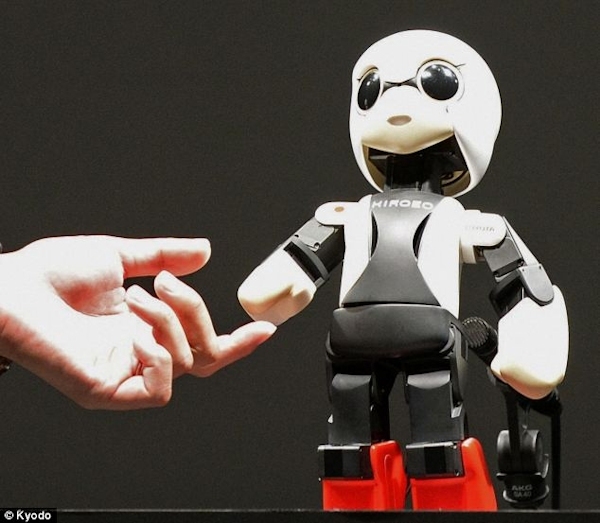 “This is one small step for me, but one giant leap for robots,” the 13-inch-tall humanoid robot named Kirobo said at a briefing in Tokyo after being unveiled to the theme song of Astro Boy, an animation series about robots living among humans. It may be time to make a trip to the Vatican Museums. 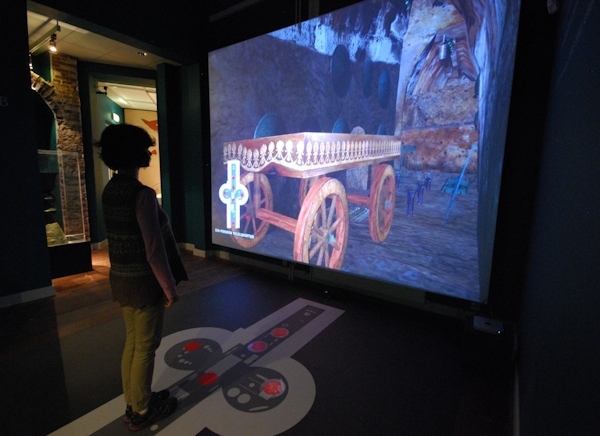 A pan-European team has created a walk-in, virtual reality tour of the famous Etruscan tomb called the Regolini-Galassi. Although the tomb is not open to the public, for the first time people will be able to experience the tomb via the replica. The 12th Annual Workshop on Network and Systems Support for Games (NetGames 2013) will be held in Denver, CO, USA on December 9th-10th, 2013. NetGames brings together researchers and practitioners from academia and industry across the globe to present their latest research on the challenges of today’s networked games, and to further understand the requirements and explore the possibilities of future generations of networked games. NetGames will also have an industry keynote and panel discussions with participants from both academia and industry. One of the greatest challenges for creating a feeling of “presence” has long been physical obstacles such as your sofa. Now, a handful of companies are building devices designed to let you move freely in place. Major characteristics of our interactions with technology lie in their frequency and execution in stable contexts, which according to behavioural psychology, form crucial foundations for the development of habitual behaviours. Habits are currently addressed as implicit facets of interaction design through concepts such as consistency, intuitiveness and learnability. That said, little research has focused explicitly on the habitual nature of our interactions with technology, the implications for HCI of habituated interaction and how disrupting these digital habits can impact on HCI related concepts. This full day workshop aims to define the area and scope of research for habits in the HCI discipline. In a converted industrial space on the fringes of Paris’s 13th arrondissement, an assortment of dance, design and technology experts are watching the latest work by the French company Le Théâtre du Corps. What they see is not so much a dance piece as an expensive and beguiling box of tricks. 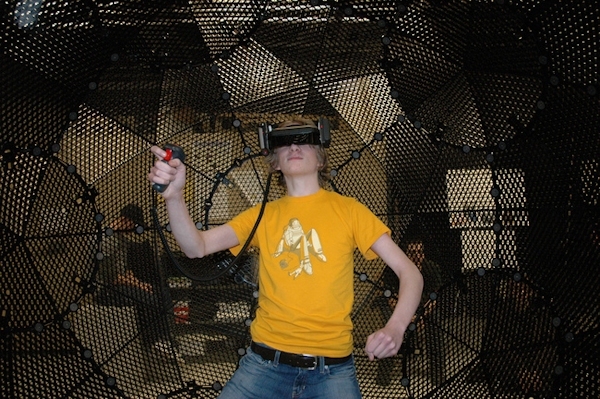 It is also a glimpse into what may well be the future of live performance. 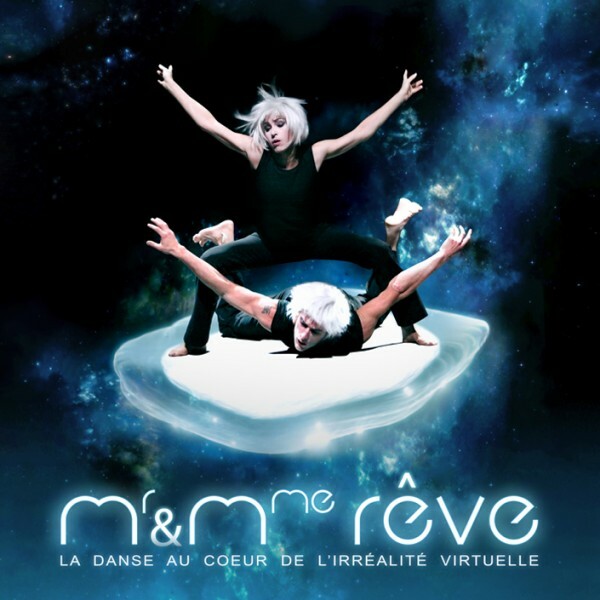 M et Mme Rêve (Mr and Mrs Dream) is a 90-minute fantasy inspired by the surreal writings of Eugène Ionesco, pioneer of the “theatre of the absurd”. It opens with two dancers, Marie–Claude Pietragalla and Julien Derouault, in the drawing room of a bourgeois French villa. Within minutes, thanks to rapidly changing digital projections, the walls of the room go into meltdown. Wallpaper peels, plaster cracks and the whole interior dissolves into a giddying succession of projected dreamscapes: hills and drifting blossom, a city street, a prison cell, a meteor shower through space. Now in its 20th year, MMM is a leading international conference for researchers and industry practitioners for sharing new ideas, original research results and practical development experiences from all MMM related areas. The conference calls for research papers reporting original investigation results and demonstrations in all areas related to multimedia modeling technologies and applications. It also calls for special session proposals focusing on specific new challenges in the multimedia area. UK company Languagelab helped Tengizchevroil staff learn English up to four times faster than with classroom training, by using virtual reality training. For Kazakhstan oil company Tengizchevroil (TCO), Languagelab created a system that could be used for both health and safety (HSE) and language training. While students are learning English, they walk around a virtual version of the equipment, such as an offshore platform or tanker, that they are being trained to work on.